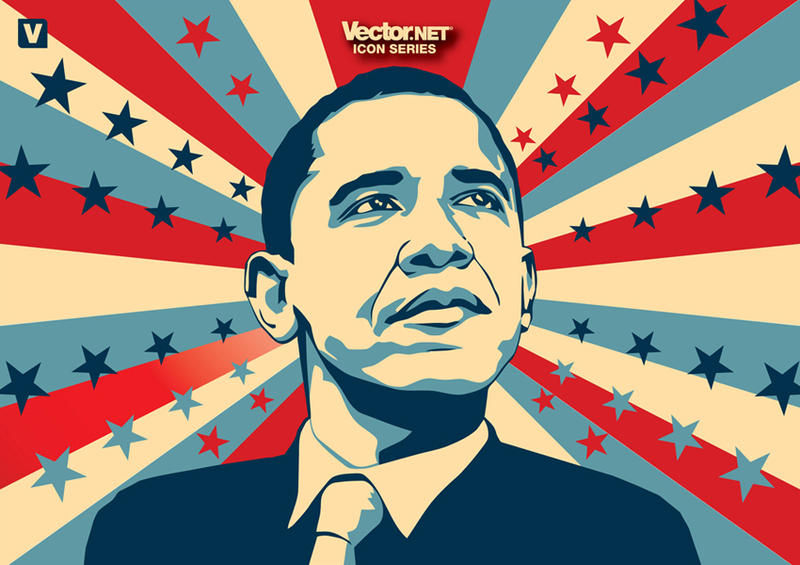 Free vector art illustration of Barack Obama, the first African American president. Obama stars and stripes vector graphics. Download free portrait vector of President Obama in Illustrator AI and EPS vector format for your graphic design, poster or illustration project. Obama by Asher Lane for Vector.net.